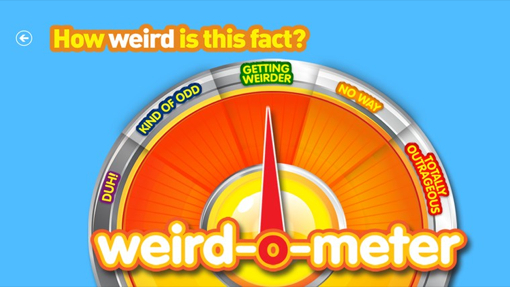 Have you ever wondered what goes into a National Geographic Kids Weird But True Fact? As a National Geographic Kids Insider, I had the exclusive chance to speak with, Becky Baines, the editor of National Geographic Kids books. Calling The Weird But True Facts her favorite series, she revealed the inspiration behind the facts, her favourite ‘weird fact’ and how they find them. They began in our National Geographic Kids magazine, before we started doing the books. The concept actually came from the mother of Melina Gerosa Bellows, the head of National Geographic Kids. The idea was born after her mom read a fact under a Snapple cap. The Process of Creating Facts. The process of creating the fact in it self is quite exhausting. First, we decide upon the topic and format of the book. From there we decide what type of angles we want and then researchers are brought on. Information is compiled from everywhere and all sources must be non-fiction. There is a lot of information, but not all sources can be trusted. For example, we stay away from websites like Wikipedia to find facts. Each fact has to be confirmed with three other sources and it takes a really long time to do this. Sometimes experts are contacted to settle if the fact is actually true. Even after the book is compiled with the final list of facts it is sent to a professional fact checker. For the 300 facts that make it in the book there is probably a 1000 that don’t get in. Who decides if Something is Weird Enough. National Geographic kids is looking for a wow factor. Although, the most important requirements are that the fact is understandable for kids of all ages and is something they will find intriguing. One of best ways to do this is to take a fact that is really impressive and then relate it to something children already grasp. Workers test facts out on a kids panel if they’re really stuck. In the end, if it’s weird to me then it is pretty darn weird! I love weird but true history. I love the fact that vikings bleached their hair. They used a really strong soap that stripped the hair of color. They were very clean people and bathed once a week. Also, a pig was once tried for a murder! Anything that has to do with germs and guts I find fascinating. For example, during the plague coffins came with a bell attached so people could ring if they woke. Also, Hans Christian Anderson was so concerned about being buried alive he slept with a note next to his bed saying he may appear dead, but he was not. 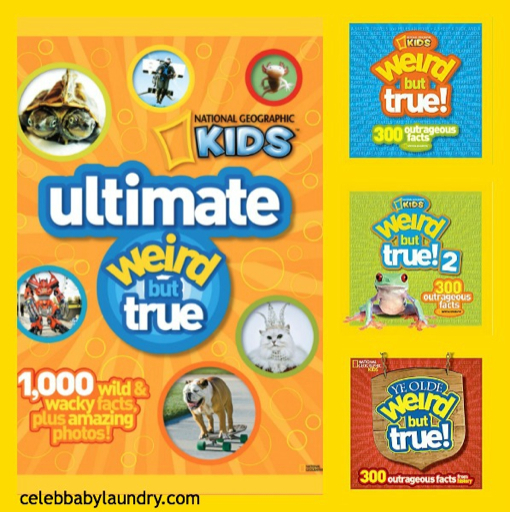 Visit the National Geographic store to learn more about Weird But True Facts books.